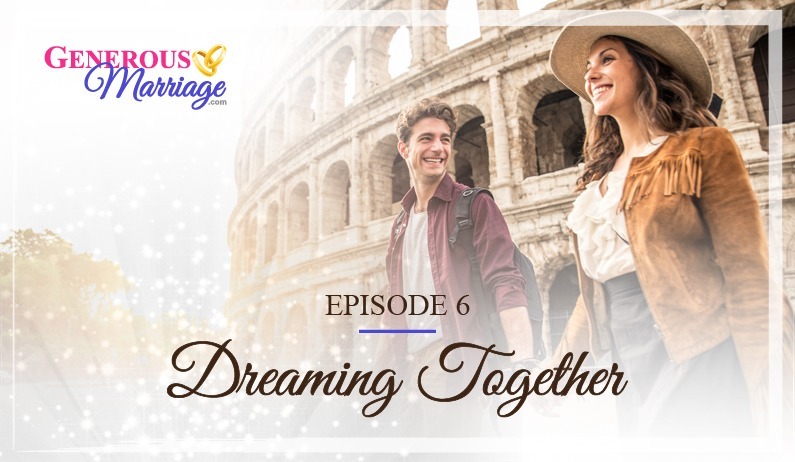 The story of Deanna and Rob who struggled through a big change in their dynamic after 15 years of being together, and how they committed to each other and created shared meaning of their struggle and shared dreams for the future. The tool of creating lists of shared and individual dreams, and making it part of the couple’s responsibility to help them fulfil some of the dreams, make the relationship more generous, nourishing and satisfying. Research: Dr. John Gottman created the Sound Relationship House model to emphasizes what’s important in a relationship according to his research finding. In the Sound Relationship House the attic of the house is “Create Shared Meaning”, and Gottman suggests one of the ways couples create shared meaning is by making goals and values intentional. We prepared a guide for you, with tips on how to Dream Together in a fun and effective way.